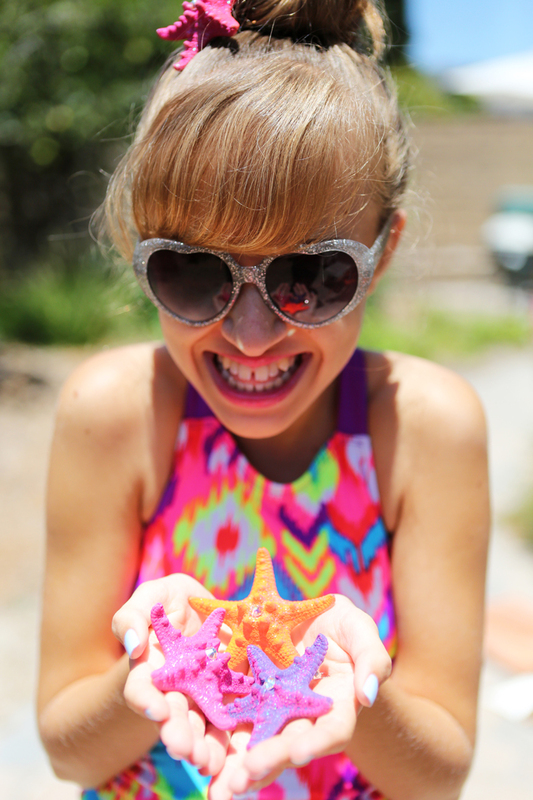 So if you didn’t see cute Lucy in her DIY mermaid tee, you must check her out HERE and make one yourself! 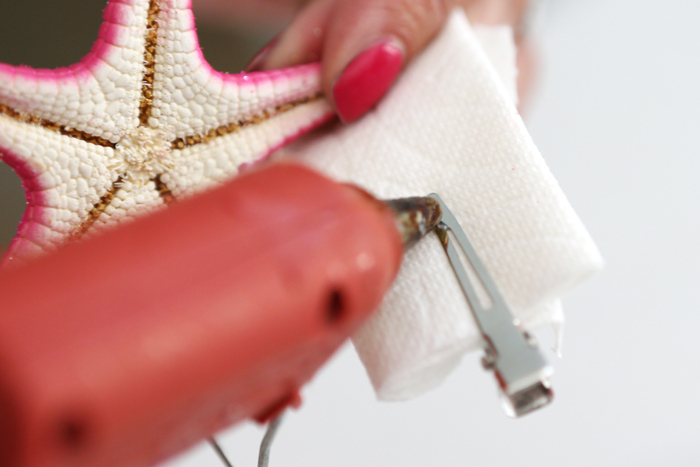 But obviously she was missing her most important accessory. 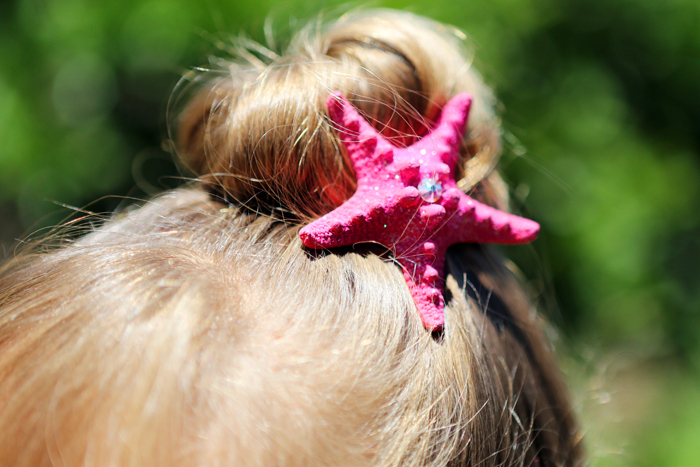 Every mermaid needs their hair pinned with a beautiful glittery starfish right? 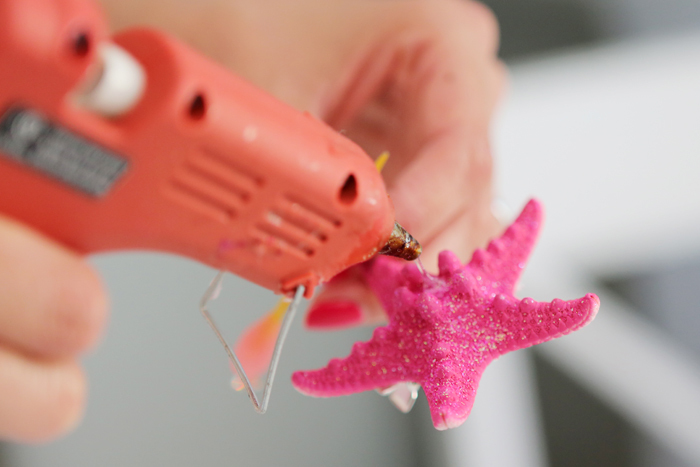 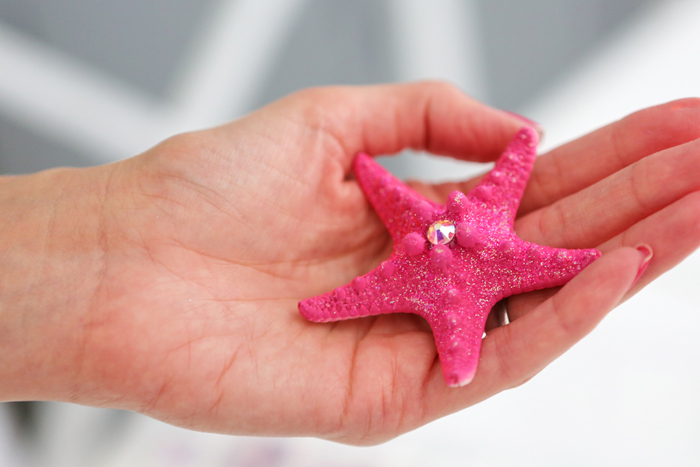 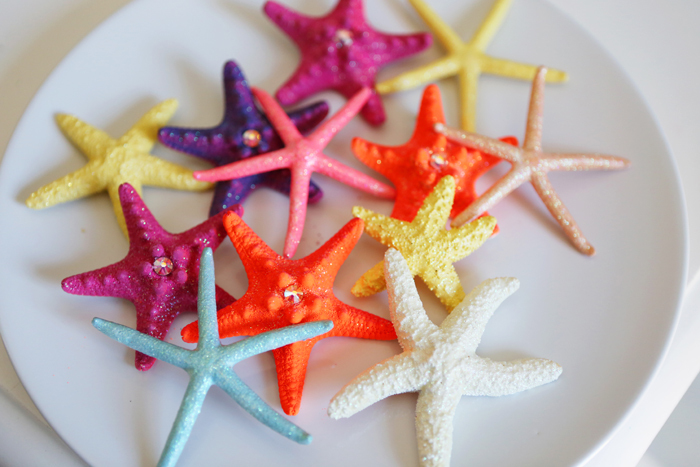 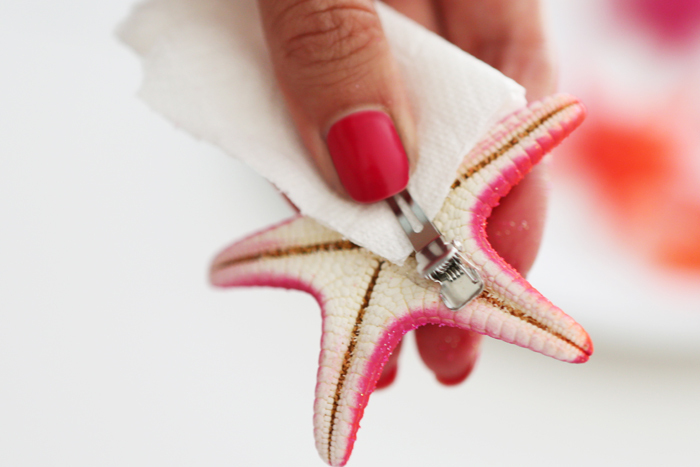 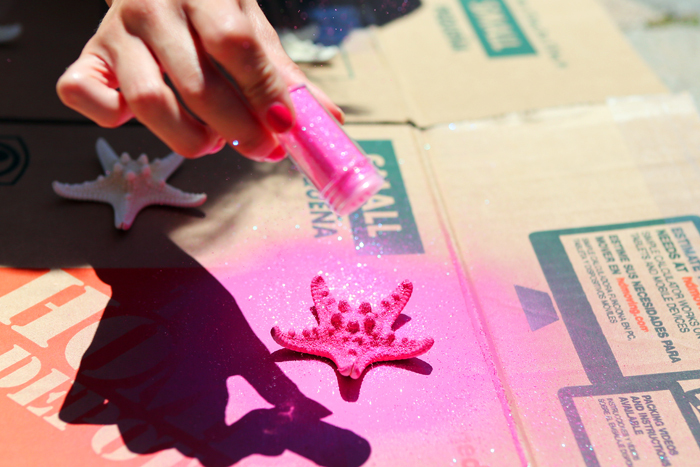 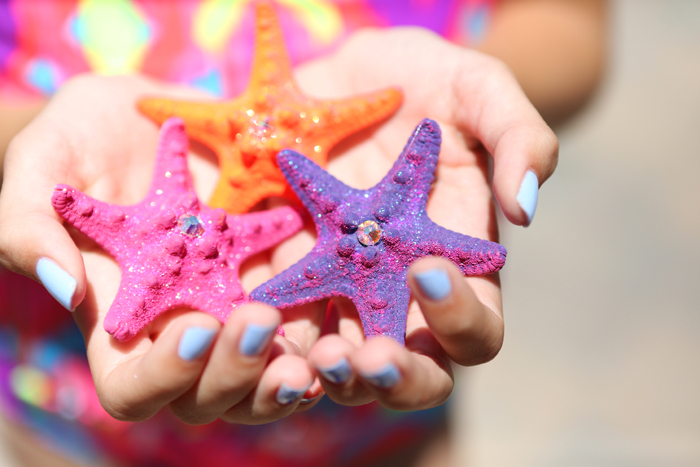 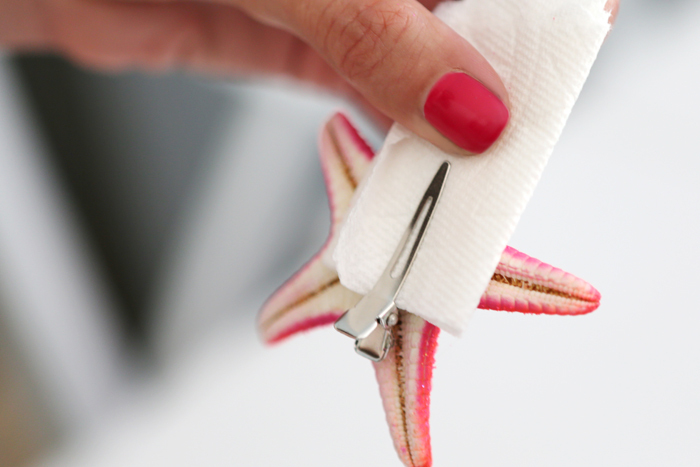 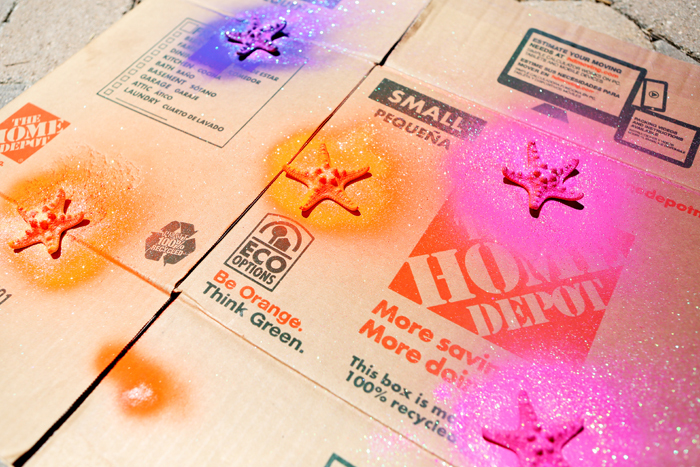 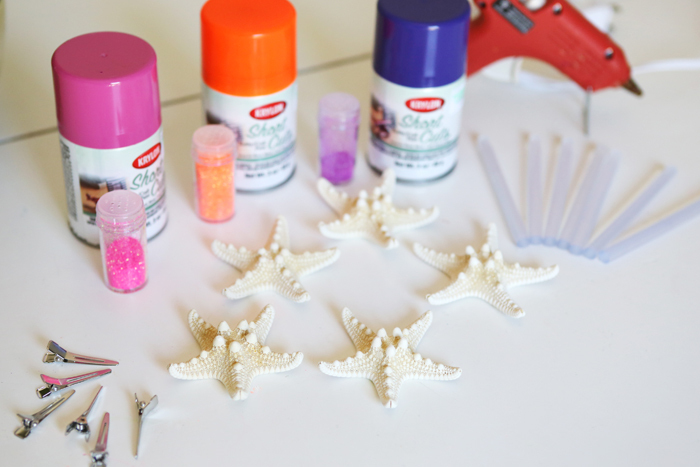 So to compliment our last post we wanted to share a super simple DIY Starfish Hair Accessory Tutorial. 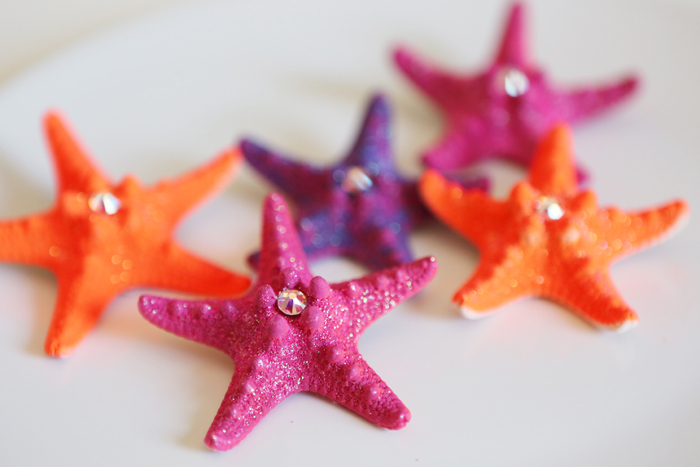 This is a fun and simple craft that the kids can even help with. 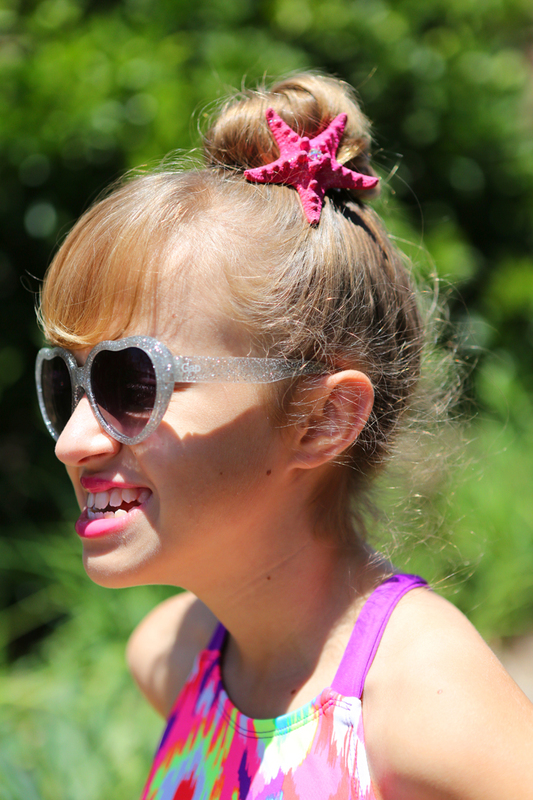 Doesn’t sweet Kate look dazzling? 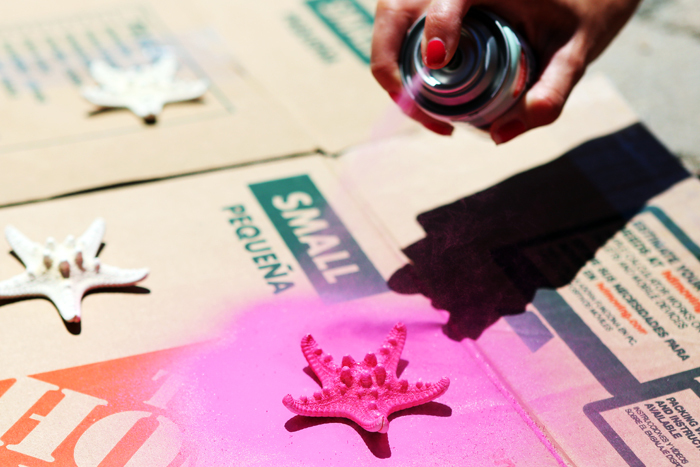 « Experience Knotts Ghost Town Alive this summer!